In our hyper connected, mobile world all eyes are firmly on the customer experience. It has become the defining line between companies that are struggling and those that are thriving. Customers themselves say their brand loyalty is heavily influenced by the quality of experience they receive. It’s therefore critical that the C-Suite and entrepreneurs have a deep understanding of what their customers feel constitutes a good experience so that they can continually enhance the service they provide. Gleaning insights from just over 2,000 UK consumers, Salesforce partnered with YouGov to examine consumer attitudes to customer experience, how it’s evolved and the areas that businesses need to focus on. 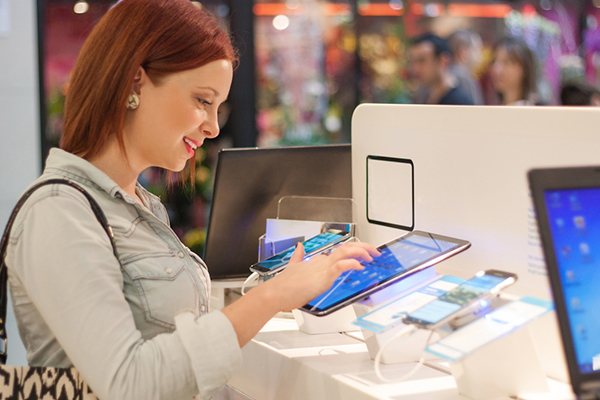 Salesforce’s Connected UK Customer Experience research provides a unique insight into UK customer experience trends and consumer motivations. The results demonstrate the need for companies to put the customer experience at the forefront of their operations. It presents the single biggest opportunity for brands to get ahead of the competition, but it will only be successful if the experience is consistent and personalised across different channels, including web, mobile, social and in-store. Poor customer service is the biggest reason consumers are put off a brand. Survey respondents overwhelming chose poor customer service (73%) as a reason for not purchasing from a company. Local independent retailers are beating high street retailers when it comes to good customer service. 84% of UK consumers rate the personal touch of independent shops as average to very good. Online customer service is improving rapidly. Half (50%) of UK adults say it has improved in the past five years and only 7% of consumers saying it is worse. A warning for retailers. More than one in three (36%) said that an inconsistent experience across mobile, online and in-store put them off a brand and a further third (36%) said offers that weren’t relevant to them put them off purchasing. Over eight in ten (81%) UK adults said retailers in their local area offered a very good to fairly good level of customer service. This feeling of positivity is even higher in older respondents. Only 1% of adults aged 55+ said their local retailers offered a very poor service compared to 86% that said they received fairly to very good service. When examining regional differences, 87% of UK customers based in the Yorkshire and Humber region said their local retailers provided a fairly to very good customer service. In contrast only 71% of adults based in Wales said the same. Digging deeper into the survey results, it is apparent that these differences are down to personalisation. 66% of people in Yorkshire and Humber said their local retailers offered a good to very good personal touch; compared to 55% of consumers in Wales. Overall, almost half (48%) of UK adults said personal touch was important in creating a good customer experience. There is a message for larger, multi-store retailers here too: personalisation is the main reason that local retailers excel at customer service. Sixty five per cent of UK adults said independent shops offered a good to very good personal touch. In contrast, 71% of supermarkets, 61% of banks and 57% of fashion retailers offered a poor to average personal experience. By paying greater attention to the personal touch, these types of larger businesses will be able to close the customer experience gap between themselves and smaller independent companies. Nearly half of UK adults (46%) purchase online at least every two or three weeks and only 5% never buy anything online. The rise of the smartphone continues unabated too: 11% of shoppers now think mobile is the best way to shop with 26% of 25-34 year olds saying this is their preferred way to shop. Other research from Salesforce backs this up. Our Quarterly Commerce Cloud Shopping Index, shows just how much UK consumers are using their mobile devices for shopping. In fact, mobile traffic now accounts for 64% of all online shopping traffic, compared to 43% last year in the UK. Londoners are the biggest group of online shoppers with 46% preferring to use their mobile, tablet or laptop to make purchases. This is compared to the North East and North West of England where 46% prefer to go in-store (vs. 35% North East and 35% North West on mobile/online). The growth in mobile commerce shows how crucial a mobile first strategy is becoming for businesses. However the low mobile shopping figures for over 55s, just 1% prefer to make purchases on their mobile, and the in-store shopping figures from the North West also demonstrate how a ‘one-size fits all’ strategy will not work. Businesses need to support a range of channels and be ready to communicate with customers via the one that best suits the individual at the time of that interaction. Despite our love affair with e-commerce, UK stores still hold a special place in our psyche. When asked about the best way to shop 39% said online and 39% said in-store. If we look at the results by region, 42% of people in Northern Ireland said the experience was the same online as it was in-store. By comparison, only 3% of consumers in the South East said customer service was ‘a lot better’ online with 36% saying it was ‘somewhat to a lot better’ in-store. People in the North also favour the in-store experience (40%) whilst only 7% said the online experience was a lot better than in-store. Whether online or in-store, almost a third (31%) agree that customer service has improved over the past ten years. However, retailers do need to ensure they’re consistently delivering a personalised multi-channel experience. More than one in three (36%) said that an inconsistent experience across mobile, online and in-store would put them off a brand and a further third (36%) said offers that weren’t relevant to them put them off purchasing. For retailers, this highlights the importance of offering a seamless customer experience across all channels. Buying via a mobile, from a website or in person in a store should all be an easy, pleasurable experience for the customer and can’t feel like they’re speaking through a series of disjointed systems. When it comes to leaving a brand, customer service is the #1 reason that UK consumers are getting put off a company, with an overwhelming 3 out of 4 (73%) citing poor customer service as a turnoff. Other top reasons to leave include long queues in-store (65%) and slow or confusing website (64%). This just shows how crucial customer service is in creating (or losing) loyalty among consumers. Understanding your customer: Anticipating customer desires before they arise will help improve the overall experience for the consumer. To do this, businesses need to gather data from every single touchpoint a customer uses, whether that’s email, social, phone or in-store and use that information to create relevant communications and service. Embracing technology: Once all the data has been gathered, brands can create a single, 360-degree view of their customer. This requires a shift from siloed legacy systems that make it difficult to capture and share insights in a fast and effective way. By sharing information in the cloud, companies can shift from disparate systems of record to a complete system of engagement that can help teams across sales, service and marketing get a full view of the customer. In addition, AI-powered predictive intelligence tools will become critical for identifying and delivering insights that will enable businesses to accurately predict what consumers will need, and want, in the future. Investing in team culture: To truly deliver an outstanding level of customer experience business leaders need to make sure it is ingrained as part of their company culture. It’s important that every employee knows and shares the goals and core values that will drive your company forward and serve as the benchmarks of your success. Every organisation has a slightly different focus or approach, but regardless of these nuances, in almost all successful businesses, core values are centered on the customer. Overall success today is all about delivering an outstanding customer experience – one that is personal and timely, that demonstrates how much you understand your customers. After all, a satisfied customer is a happy customer, and a happy customer is one that will come back time after time to purchase the products or services you offer. For insights and tips from leading customer experience experts, download our Creating a Connected Customer Experience e-book. The Shopping Index measures digital commerce growth and is the product of two key factors — shopping attraction and shopper spend. Salesforce sourced data from digital commerce sites transacting on the Demandware Commerce Cloud that were live and transacting since July 2015. The index incorporates the behavioral data of more than 500 million shoppers interacting with those sites. The index and the corresponding set of key digital commerce metrics is published quarterly. The Shopping Index is not indicative of the operational performance of Salesforce Commerce Cloud, or its reported financial metrics including GMV growth and comparable customer GMV growth.